Raising kids is the most important thing you'll ever do. Tim Kimmel is a master of the wild and wooly world of parenting. He has been a light to my family reminding us that of all things to remember and to embrace—parents and children are equally in need of the glorious grace of God. Tim and Darcy are amazing parents—sweet and strong and king and bold. They write with humor, hope, and an honesty that allows us all to let down our guard and allow God to meet us in our fears and regrets. This superb book will invite you to see the privilege we have as parents to be conformed to Christ through our own children." 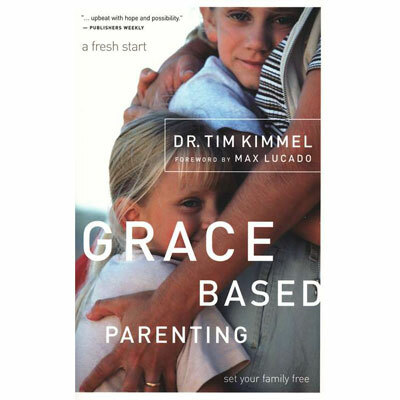 - Dan B. Allender, Ph.D.
Dr. Tim Kimmel is one of America's top advocates speaking for the family. He is the Executive Director of Family Matters, whose goal is to build great relationships by educating, equipping and encouraging families for every age and stage of life. Tim conducts conferences across the country on the unique pressures that confront today's families. His conferences include: Home Improvement: Building a Great Marriage, Basic Training For A Few Good Men, Raising Kids Who Turn Out Right, and Parenting 101. In addition to conducting Family Matters' conferences and keynote speaking, Tim and his wife, Darcy, are speakers for FamilyLife's Weekend To Remember® marriage getaway.